Listed below, you will find the City of Kamiah current water rates and policies. If you do not find the information you need, please contact our office and we will provide it for you. All rates listed below are for residential properties. If you would like to know the business rates or out-of-town rates please call City Hall at 208-935-2672. Water shut offs for utility bills with past due amounts very depending on holidays, closures or Fridays. Please watch your bills for notification if your water services will be turned off. 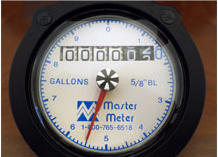 Any other question regarding your utility bill call the City Hall at 208-935-2672.